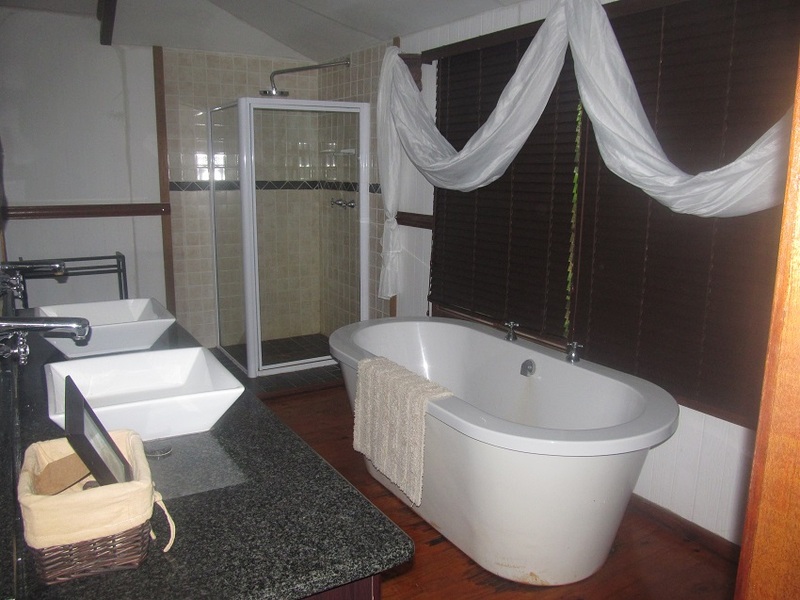 An unprecedented opportunity now exists to market one of the most pristine and exclusive Holiday Home Developments on the East Coast of Southern Africa. 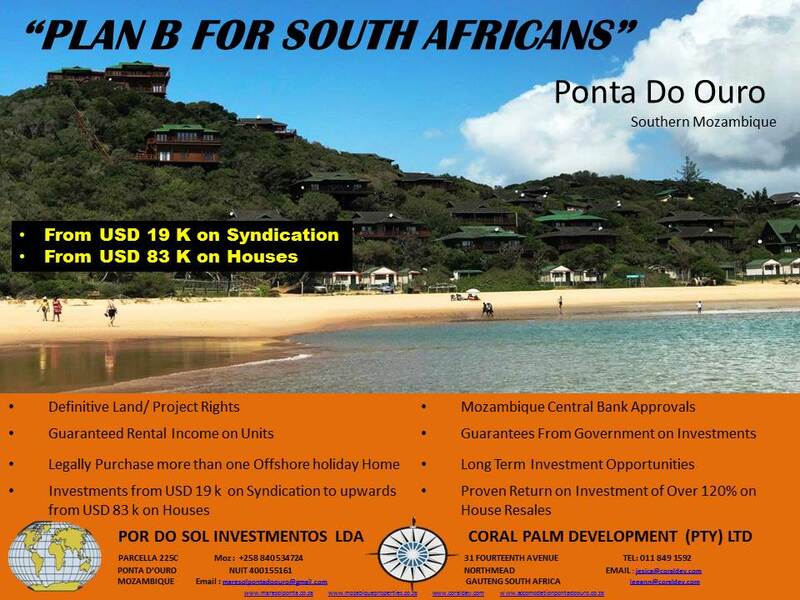 Fronting onto the beach of Ponta D’ Ouro in southern Mozambique, the “Mar e Sol” Timber Log Home Housing Development offers Leisure Marketing Companies and Real Estate Agents an unparalleled prospect to sell Ownership in a setting that boasts lush thick coastal vegetation coupled with stunning views of a pristine beach and crystal clear azure waters……..additionally “its all tar” so South Africans can drive in a normal car directly to the Complex. 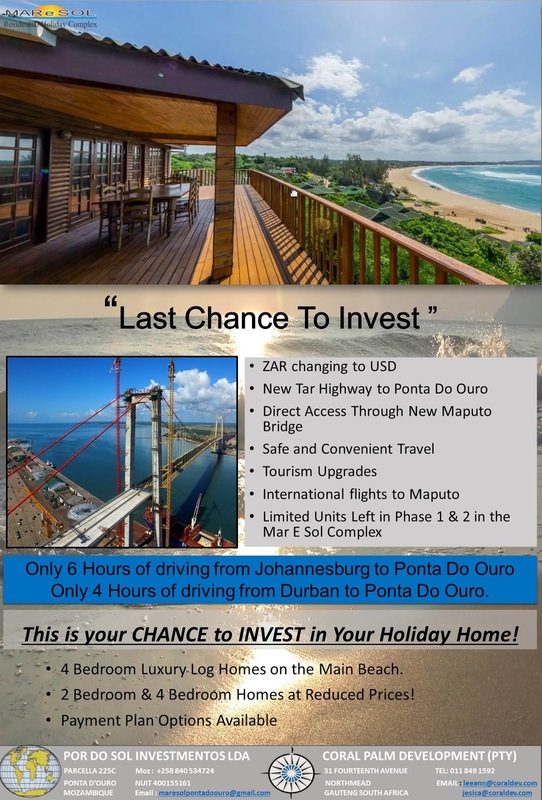 Located just 6 hours from Johannesburg, 4 hours from Durban in South Africa and a short plane flight from Maputo in Mozambique, Ponta D’ Ouro has quickly become “the holiday destination” for Tourists and now, and more importantly, it offers Investors a golden opportunity to own part of this majestic coastline. 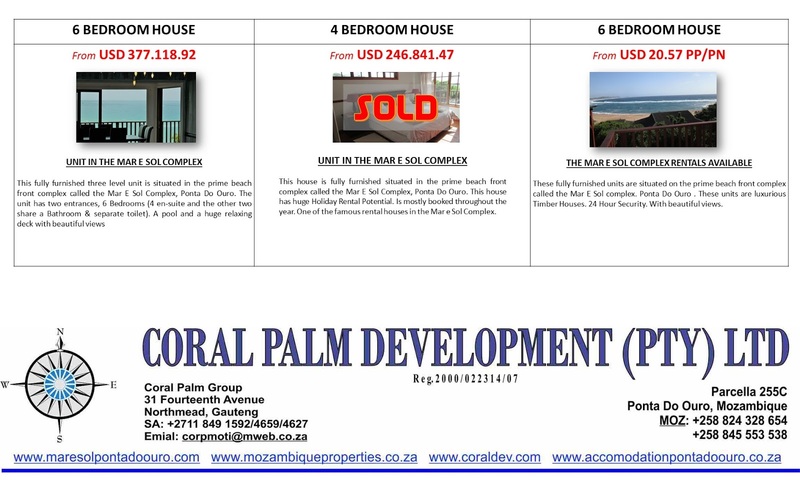 The Development is easily accessible, located on the main beach and consists of 40 self-contained luxury 145m² Timber Homes in Phase 1 & 26 Units in Phase 11. 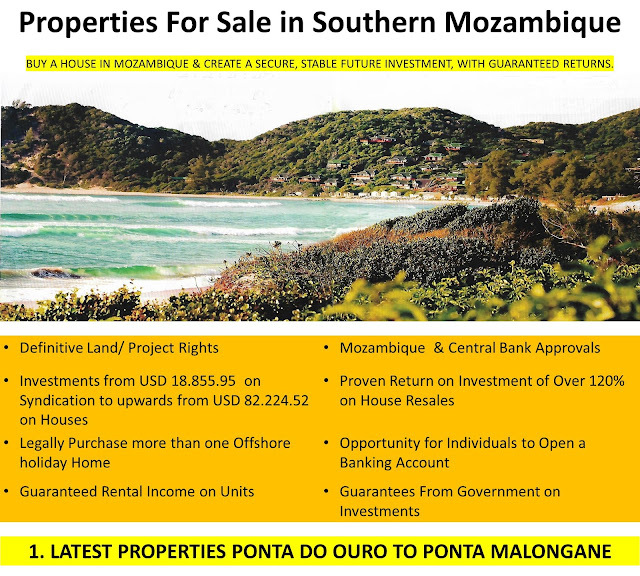 Sunset Shore Investments (Pty) Ltd and its partners have secured Perpetual Land Usage & Exploration rights from the Mozambique State and in addition Phase 1 of the Development which is already 90% sold out, has Definitive Title which means that there are no Leases from the State but rather Investors will own share hold in the Company that owns the rights. Backed and vetted by the largest legal companies in Mozambique and SA, KPMG and Deneys Reitz/Norton Rose have put their mark of approval on the project. 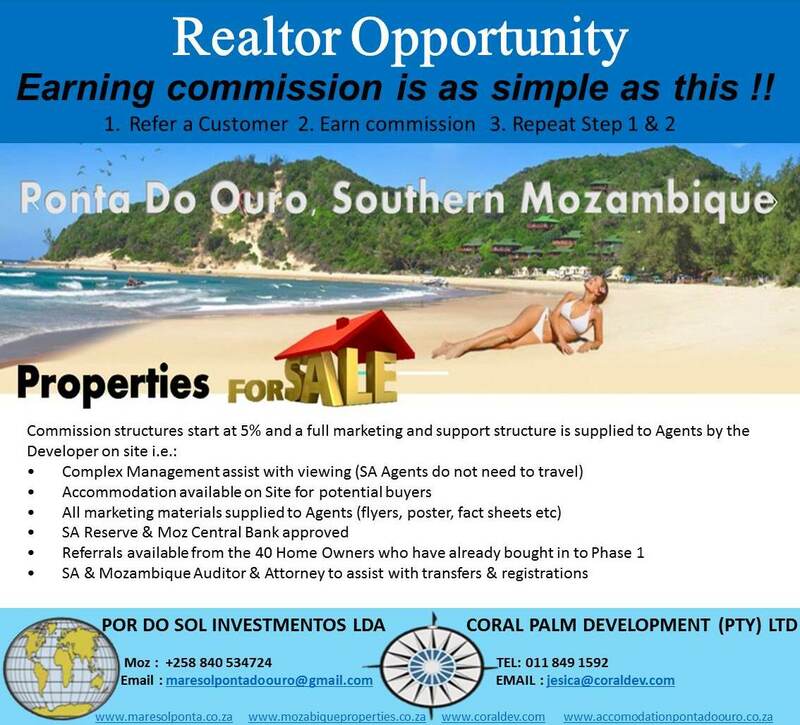 ARE YOU LOOKING TO INVEST IN MOZAMBIQUE? 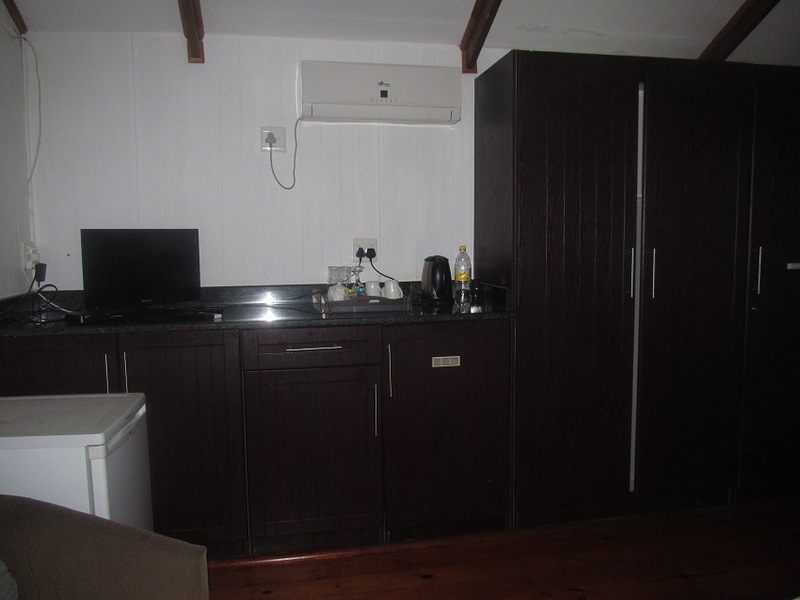 Pay off on your 2 Bedroom House in this Complex. 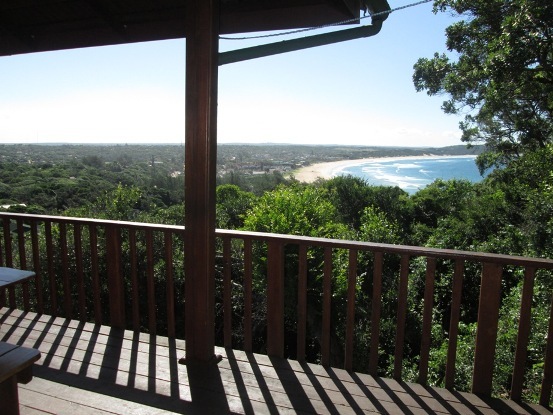 This House is walking distance from the beach, and restaurants as well as the market place.This house has communal swimming pool to enjoy. 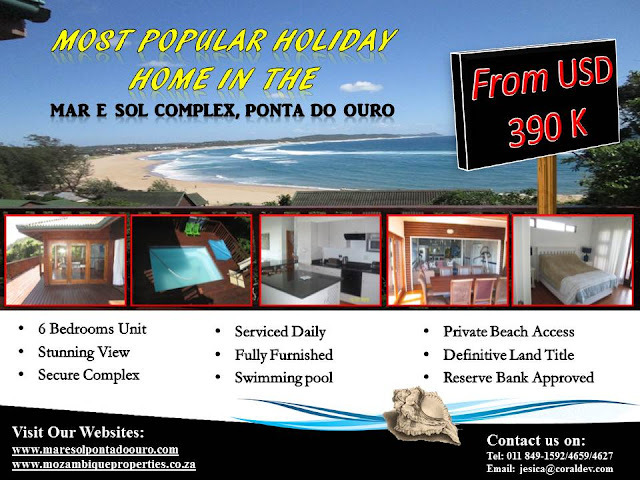 Pay off on your Holiday Home in secure lodge located in Ponta Malongane. 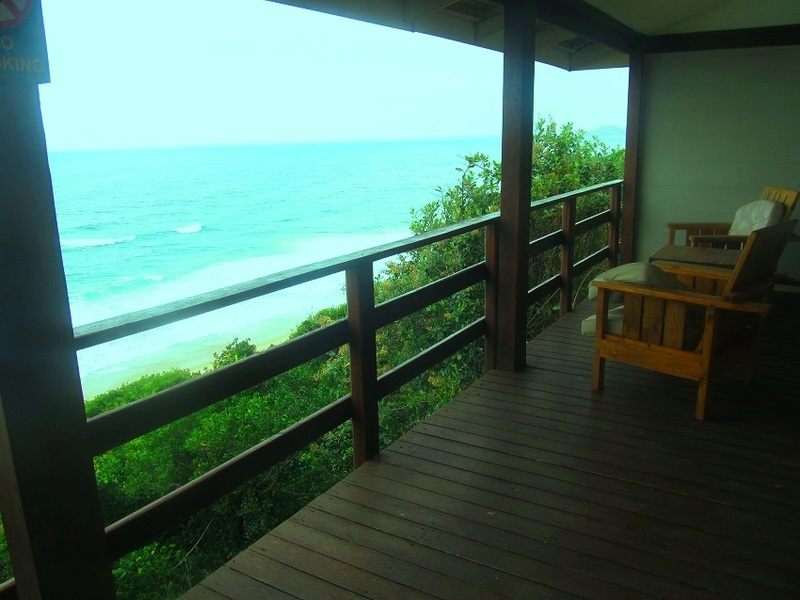 Walkway leading to the beach, close to 360 Degree Restaurant, this house also offers your own private deck area & splash pool to enjoy. 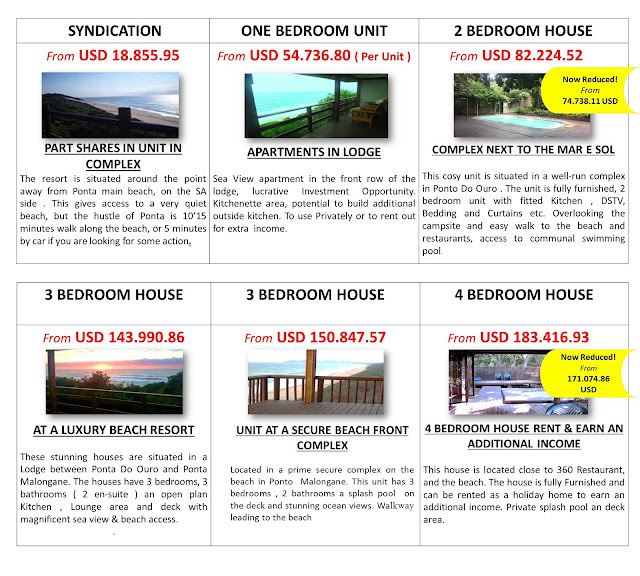 Pay off on your Newly Built Holiday Home (Unit #4 & #12) in the most popular Luxury Complex. 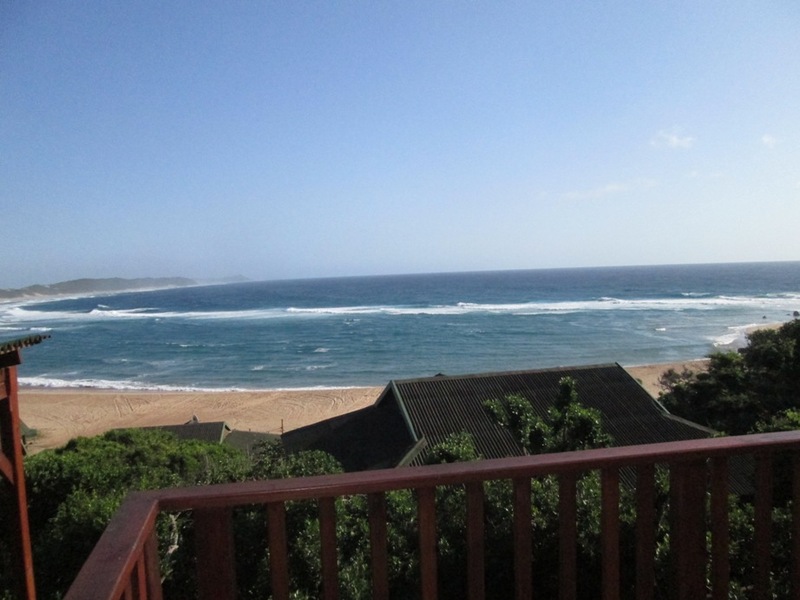 These houses have 4 bedrooms with walkways leading to the main beach of Ponta Do Ouro, with private beach access, open plan kitchen and lounge. Click on Here to Mail us about Investing in Your Project! Coral Palm has established itself over the past 25 years as one of the leading Development Companies in southern Africa and Mozambique by constructing over 200 Holiday Homes, 7 fully self-contained Tourism Complexes and numerous businesses ranging from Bars and Restaurants to Water sport Centers and presently is exploring a Golfing Estate and 3 Coastal Tourism Lodges. This Luxury Timber Log Homes are situated in the luscious, coastal forest of Ponta Do Ouro. The houses consists of 4 bedrooms, open plan lounge kitchen area, 2 bathrooms. 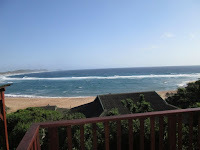 Sundeck, kitchen, fully serviced, 24 Hour security in located in the Mar e Sol Complex in Ponta Do Ouro. 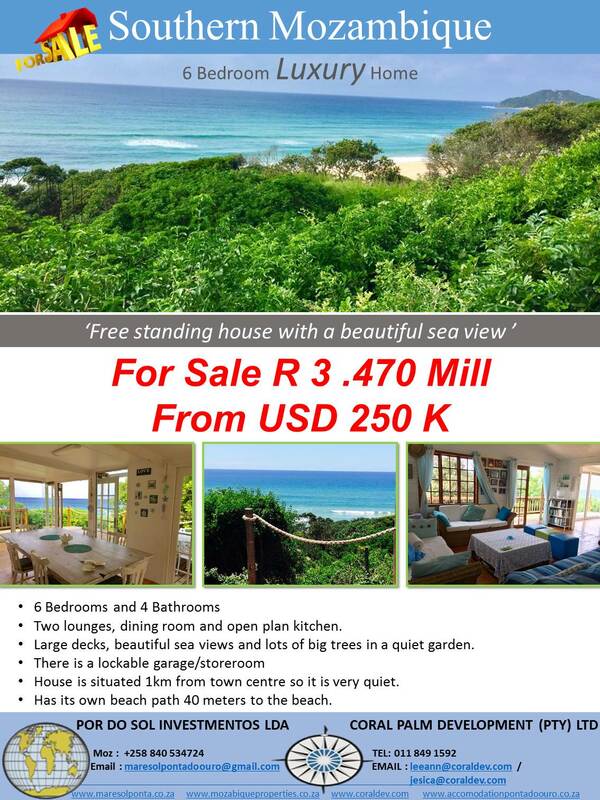 This unit also has stunning partial ocean views of the bay in Ponta Do Ouro, Southern Mozambique. 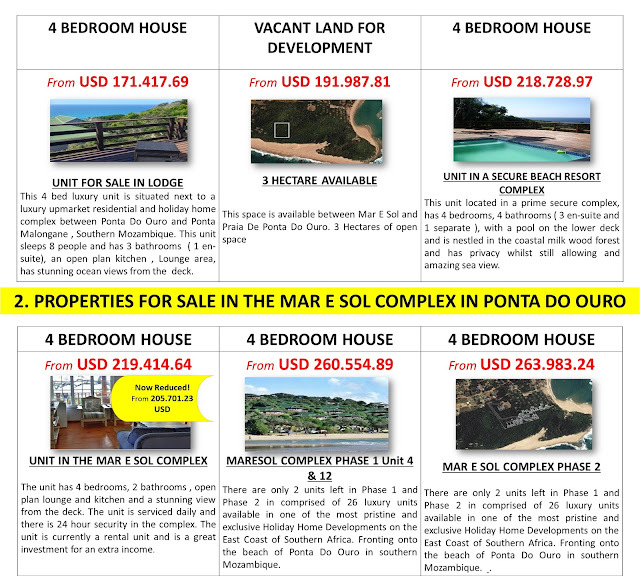 This luxury unit is for sale at the Mar E Sol Complex, Ponta Do Ouro, Mozambique. 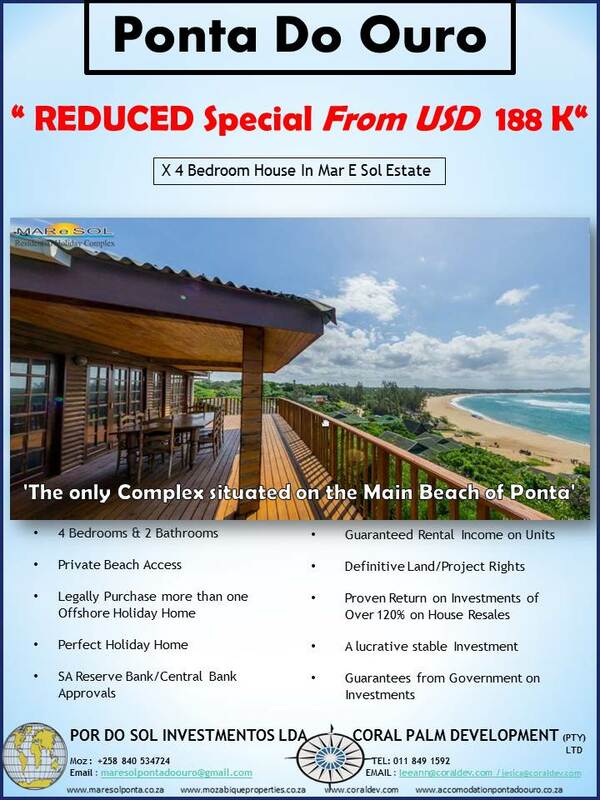 Located just 6 hours from Johannesburg and 4 hours from Durban, Ponta D’ Ouro has quickly become “the holiday destination” for Holidaymakers and now, and more importantly, it offers South Africans a golden opportunity to own part of this majestic coastline. 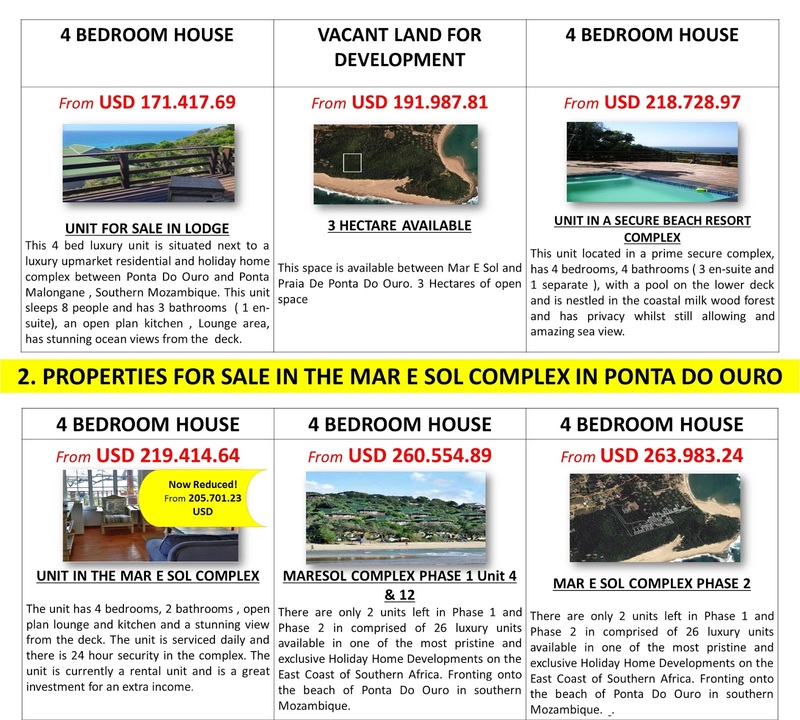 Fronting onto the beach of Ponta D’ Ouro in southern Mozambique, the “Mar e Sol Phase 1” Luxury Condominium Development offers investors, holidaymakers and families an unparalleled prospect to purchase real estate in a setting that boasts lush thick coastal vegetation coupled with stunning views of the pristine beach and crystal clear azure waters. The units consists of 4 spacious bedrooms with build-in cupboards, 2 bathrooms, open plan kitchen/lounge. 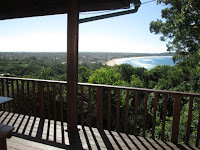 The lounge doors open onto a sun filled deck, with the stunning ocean views. 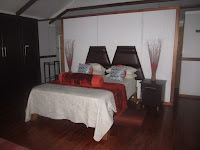 The complex has 24hr security, serviced daily and has a shaded walkway leading directly to the beach. Parking is next to the units. Selling @ R799 000 for these amazing Apartments. Contact us regarding the Special offer for a 2 bedroom Apartment with a pool! 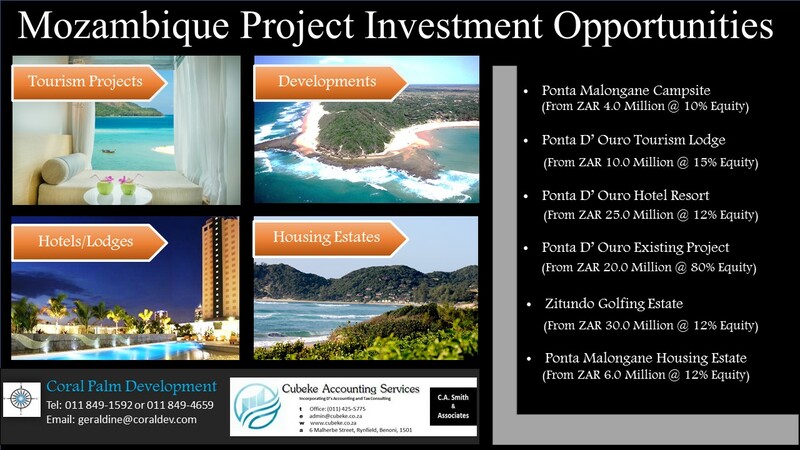 Contact us to arrange a viewing for you in Ponta Malongane, we can make an appointment to view your next Property Investment.